How Do I Know if My Camshaft is a Good Core? When purchasing a camshaft, one question that often comes up is whether or not your old cam will be accepted as a core. The part can only be deemed an acceptable core if it can be rebuilt. So how do you know if your camshaft will be taken as a core for rebuild? There are several things to look for, including the straightness of the camshaft, the wear on the lobes, and the case hardening depth. Regardless of whether you're looking for a new or remanufactured camshaft, it's always worthwhile to know if yours can be rebuilt. Once a camshaft has been deemed safe to rebuild, it can go through the remanufacturing process, which involves two main stages— welding and regrinding. 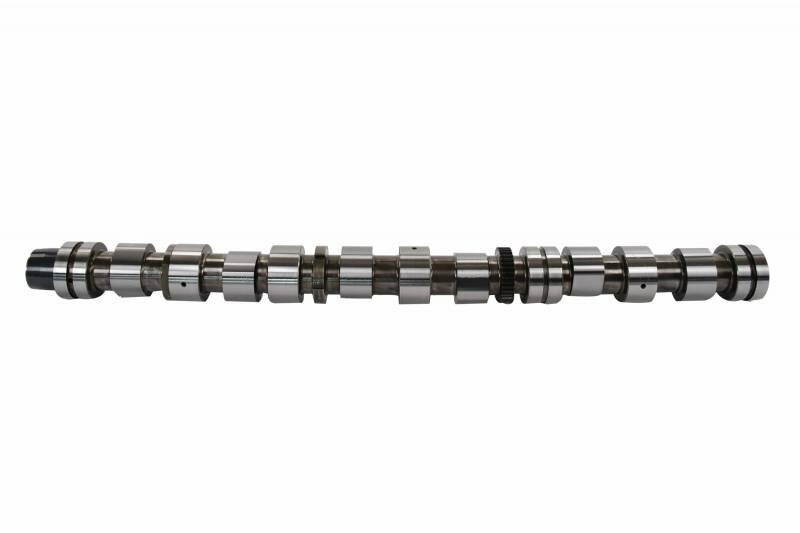 To read about these in more detail, visit our earlier blog,The Camshaft Reconditioning Process. If you'd like to know more about camshafts and how replacing a worn one can restore fuel economy, check out HHP's video. You can also take a look at HHP's selection of camshafts to help keep your engine in prime condition. 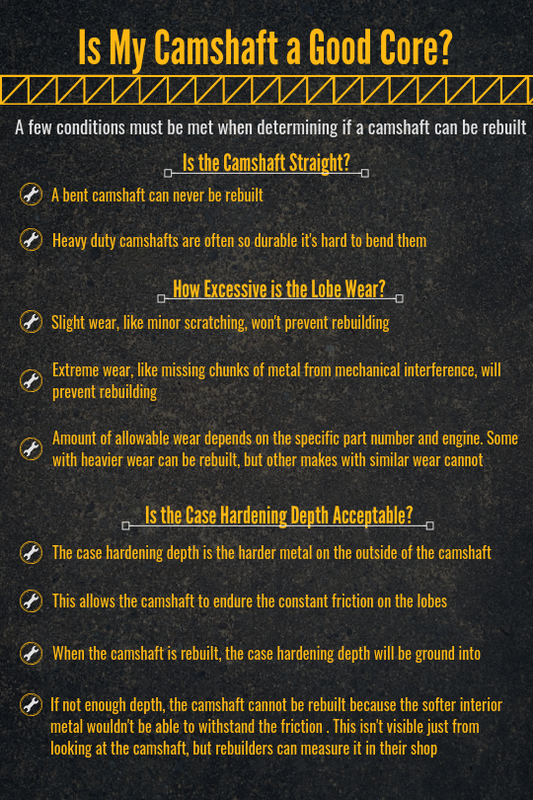 To learn more, or to find the right camshaft for your engine, give us a call at 844-215-3406. Our techs would love to talk to you! Or, you can request a quote online.